Cannot be Normal Summoned/Set. Must be Special Summoned (from your hand) by banishing 7 DARK monsters with different names from your GY. 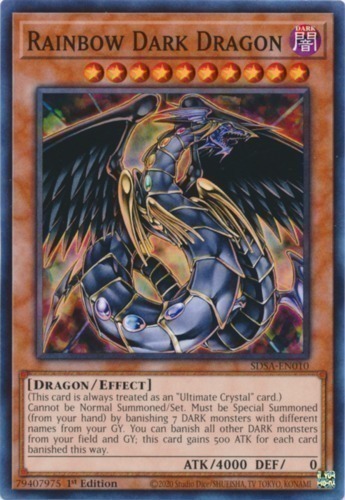 You can banish all other DARK monsters from your field and GY; this card gains 500 ATK for each card banished this way.